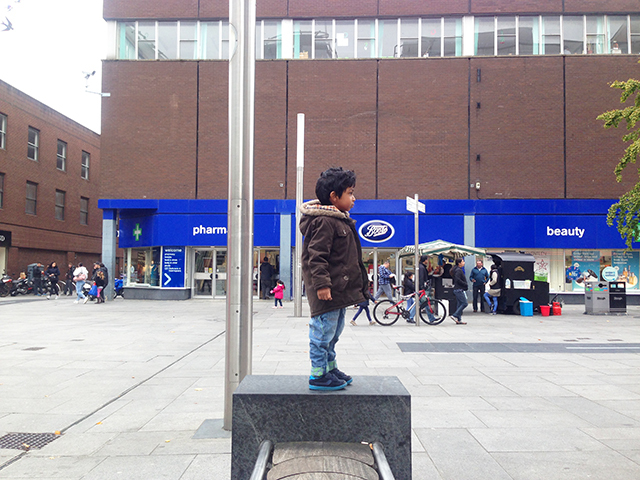 It’s time for my second ‘Secret Slough’ post and this one is about… zebra crossings! They’re everywhere now, right? Just a part of everyday life, you see them all across the UK. 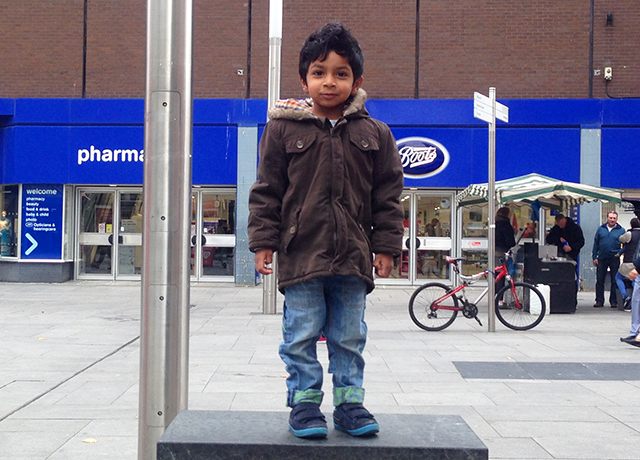 But, did you know that the first EVER zebra crossing in the UK was placed on none other than Slough High Street? Yes, really! I walk over it every week without realising. I found a photo of the crossing from the 1951 club website and took a photo from the same angle today. 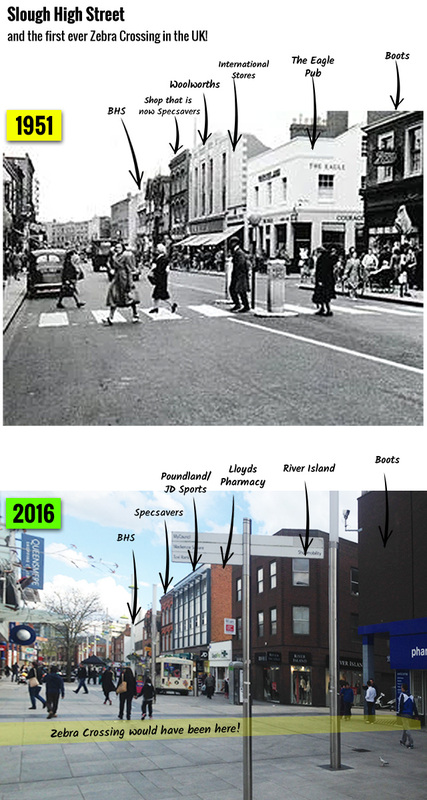 There’s 65 years between the photos, and it’s quite incredible that Boots is still there in the same location. The zebra crossing, with its Belisha beacons, was directly in front of Boots, so people walk over the location every day without realising! I’ve also marked the shops then and now, so you can clearly see the buildings have not changed, rather the road has been pedestrianised. River Island was the Eagle pub, Lloyds Pharmacy was International Stores, Poundland and JD were Woolworths (you can read more about the Slough Woolworths store on my other website here). I can’t see what Specsavers was, but the top of the building is the same, and I’m guessing BHS was there in 1951 as it’s quite a historical British store. On the other side of what would have been the zebra crossing today, is the space in front of the Queensmere Observatory shopping centre. But in 1951, this was what was on the other side. (Photo from the 1951 Club, courtesy of Mary Treen at TRL). The reason zebra crossings were introduced was because of the increasing amount of deaths on the road. Before the zebra crossing, the pedestrian crossing was simply metal studs in the road. Pedestrians could see the studs, but motorists didn’t notice them until they felt the bumps under the tyres, and by then it was too late. I don’t know why Slough was chosen to be the first town to have a zebra crossing, but shortly after, in 1955, Slough was chosen to be a ‘Safety Town‘ with Traffic Education, Enforcement and Engineering. Maybe Slough motorists were just as crazy in the 1950s as they are today. And I’m telling you, there are some crazy drivers around. So that was my Secret Slough fact of the week – hope you found it interesting! Does your town have any interesting secret facts? Very interesting fact this week. Makes me wonder now where was the first one in Ireland. Shame it’s gone now though too. What an interesting series, I bet people who know the area area fascinated! I love seeing the differences in pictures like that, and how things change around, or not! That is interesting! Zebra crossings do frustrate me though as many pedestrians walk out onto them without ensuring the traffic has/will stop for them first. The reason that the first zebra crossing was located in Slough High Street was that the Traffic and Safety Division of the TRL (or Road Research Laboratory as it was then) was in Langley. So it was the nearest big town. The main Road Research Laboratory was at Harmondsworth (near Heathrow) before it moved to Crowthorne.